The Hamilton-Wenham Regional School District Wellness Advisory Committee is a team of district faculty, parents, students and community members who are dedicated to ensure each child is healthy, safe, engaged, supported, and challenged. The committee is an action-oriented group that makes the implementation of the district wellness policy and other health-related priorities possible. 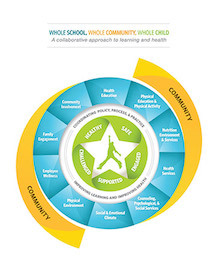 The mission of the Hamilton-Wenham Regional School District Wellness Committee is to provide a Whole School, Whole Community, Whole Child approach to physical, mental, social and emotional health promoting innovative learning and skill development as the foundation for academic success and personal achievement, thereby instilling a supportive and health literate climate for all students, teachers, staff, and community. The HW Wellness Advisory Committee meets once a month to assess, plan, and improve student health outcomes.